Days after the administration reiterated its call for ‘the wall’, America’s top diplomat has the unenviable task of visiting Mexico today. The first high-level US delegation since Donald Trump’s inauguration will travel to Mexico City on Thursday, a visit that’s sure to produce a spate of barbed exchanges. Secretary of State Rex Tillerson will lead the contingent, which will also include Homeland Security Chief John Kelly. Tillerson met his Mexican counterpart in Washington DC in early February to smooth over relations between the two neighbours, which have been anything but neighbourly. Ironically, the secretary of state’s travel partner has been the one at the very core of America’s newfound antagonism towards Mexico. Mr Kelly has had a busy week. On Tuesday he announced he’d hire 15,000 new officers to patrol America’s borders and enforce tough new immigration laws. More problematic – at least for Thursday’s visit – is Kelly’s insistence that the wall along the Mexican border is “necessary”. 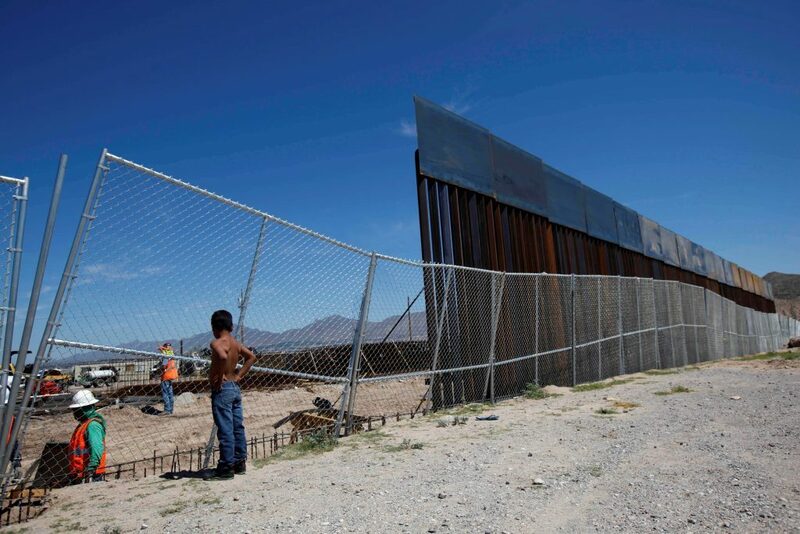 The much-talked about barrier – and just who will pay for it – has been at the heart of strained relations since Donald Trump’s inauguration. In protest, President Enrique Pena Nieto called off a planned trip to the White House on January 31 (a move that proved popular at home). Thursday’s visit will set the tone for Mexican-American ties moving forward. Expect things to get frosty. 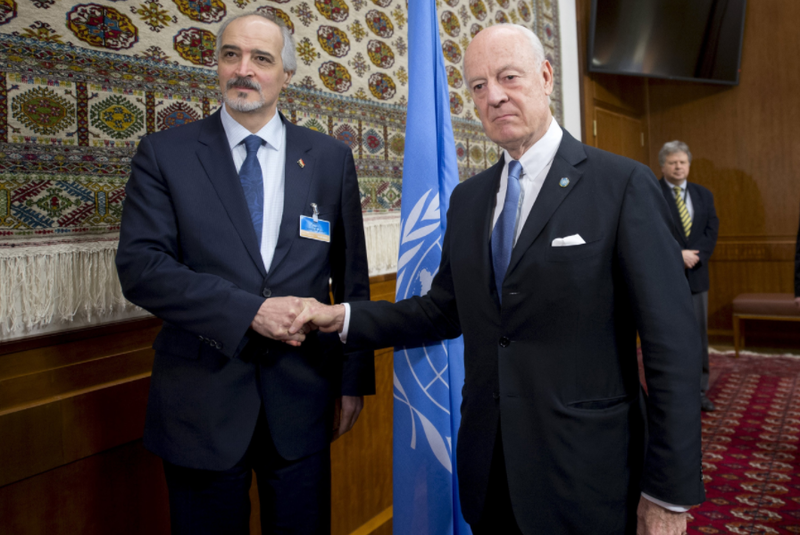 Syria’s warring factions will again head to Geneva on Thursday for UN-backed peace talks a mere week after similar Russian-brokered efforts in Astana. As has been the case for years, the fate of Bashar al-Assad remains the key stumbling block. There has been confusion over the exact scope of discussions; the term ‘political transition’ – a euphemism for Assad’s removal – was noticeably absent from the agenda until Tuesday. Its late inclusion suggests that threats by opposition representatives to boycott the talks may have proved persuasive. But more generally, the political clout of rebel groups is dwindling. Opposition factions have lost significant territory in recent months and wavering support from Turkey and the US, two major external backers, is causing anxiety. While Washington has assured rebels that any cooperation with Russia will take their interests into account, the Trump administration has made it clear that its top priority is defeating ISIS, not Assad. Bringing rebel and regime representatives to the table for face-to-face discussions may be the most ambitious milestone that Thursday’s talks can achieve, but even this has been plunged into uncertainty. 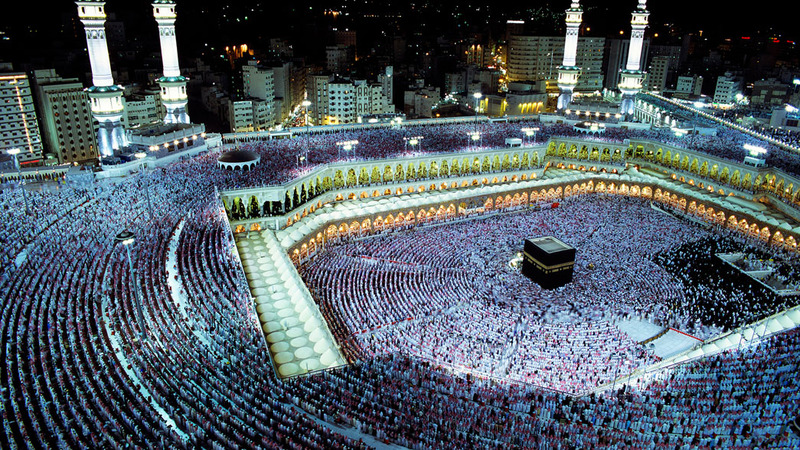 An Iranian delegation is expected to visit Saudi Arabia on Thursday to discuss arrangements for its citizens to make the Hajj trip to Mecca. In January last year, relations between the two publicly ruptured, purportedly over Saudi Arabia’s execution of a Shi’ite religious leader. In reality, bilateral tensions over regional conflicts and historical animosities had been simmering for years; Sheikh Nimr’s execution was merely the straw that broke the camel’s back. For over a year now, Riyadh and Tehran have refused to speak to each other. As a result, hundreds of thousands of Iranians were prevented from making the Hajj pilgrimage in 2016. Whatever their outcome, Thursday’s talks represent a symbolic step forward and come a week after Iranian President Hassan Rouhani visited Oman and Kuwait – both Gulf Cooperation Council members friendly to Saudi Arabia. However, the regional powers remain locked in an intractable geopolitical cold war – fuelling destabilising proxy conflicts in Yemen and Syria. While there are circumstances where the two may cooperate on shared interests, such as last November’s oil production freeze deal and perhaps the upcoming Hajj pilgrimage, these remain very limited. Scheduled talks between the leaders of Turkish and Greek Cyprus were meant to be held but have been called off, throwing the peace process into disarray. Turkish Cypriot President Mustafa Akinci pulled out of the talks, incensed by a decision by Greek Cyprus’ parliament to commemorate the 60-year anniversary of a referendum that sought a union with Greece. By-elections will be held in the UK constituencies of Copeland and Stoke-on-Trent Central. The latter overwhelmingly backed the Leave campaign in last year’s EU referendum, with some 65% electing to exit the Union. UKIP’s David Nuttall will go up against Gareth Snell from Labour, which has held the seat since 1950.